Warren Clare Chartered Accountants St Albans, Hertfordshire | Chartered Accountants St Albans, Herts, Beds and Bucks. 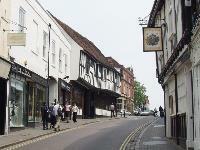 | Chartered Accountants St Albans. If your first contact with Warren Clare is online, we would be pleased to hear from you. If you are looking for a supportive firm to assist with all of your business and taxation requirements, please don't hesitate to contact us. Warren Clare is a small firm of Chartered Accountants and Business Advisors, established in 2002 and based in central St Albans, Hertfordshire. We are an approachable firm which offers support and advice in addition to audit, accountancy and tax. Our clients work in many sectors and are based in Hertfordshire, London and The Home Counties. We aim to provide much needed support, help and advice to owner managers and small businesses. We specialise in supporting small, growing and owner managed businesses and are always keen to help in any way that we can.